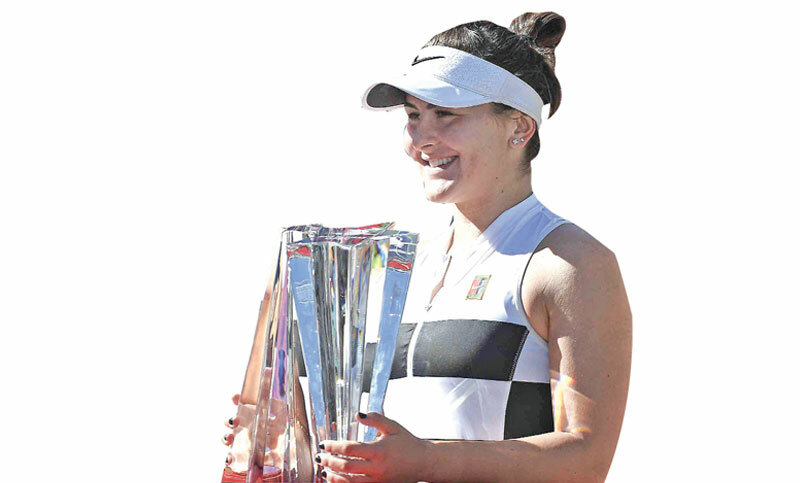 Canadian sensation Bianca Andreescu became the first wild card to win the WTA title at Indian Wells on Sunday with a gritty 6-4, 3-6, 6-4 victory over Wimbledon champion Angelique Kerber. Andreescu, 18, shook off fatigue to topple the eighth-ranked German, who hasn't won a title since she beat Serena Williams in last year's Wimbledon final for her third Grand Slam crown. Ranked 60th coming into the tournament, Andreescu will rise to 24th in the world with her first WTA title. It's another giant step in a breakout season for Andreescu, who finished 2018 ranked 178th in the world.